This week I had a break through with my Work in Progress Portfolio. I took the time this week to build a whole new setup/studio this meant that I was able to achieve some of the images that I hadn’t been previously able to. I was really pleased with the images and feel they will complete my portfolio. Sadly my presentation wouldn’t compress in time to share at the webinar, but I got to go back over my selected images which was really helpful. Especially as I hadn’t met Roger before so it was a fresh reaction/response to my imagery. The webinar brought up how I might title my images. it has been my belief for a little while that I didn’t want to keep the titles of red grape, strawberry and raspberry as I didn’t want it to be completely obvious what people are looking at so this is something that I plan to work on this week. I believe each image does need their own title as they should be independent in their own right as they are each a life of their own which should also be able to be recognised as such. I don’t think that my project is actually about recognising the fruit anymore. This is a big change in direction from when I first started this module. As part of my work this week I gave myself a refresher of what my project really is really about. This has been really helpful for preparing my oral presentation. Brainstorming words that I could relate to my project and also definitions, this assists in the communication of my project to the audience. 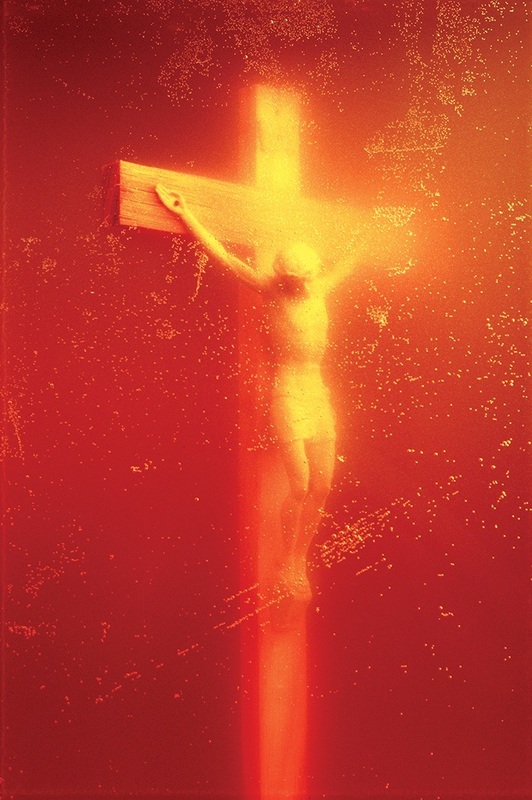 A reference to research, mentioned at this weeks webinar was Andres Serrano – Piss Christ. There is a tonal similarity between the image and some of my work, but Serrano’s work is far more controversial than my own. Piss Christ was a crucifix submerged in Serrano’s urine. It caused uproar when it was published I don’t feel that this is a reaction that I would personally want for my work. The only objection to my own work would be if individuals do not believe in life after death, reincarnation of the life of objects. My work and Serrano’s would sit in the same genre of abstraction dealing with topics that could be seen as religion/spiritualism. Perhaps instead of linking to religion perhaps it is more a case or morality – is it moral that he has done this to something so symbolic? For my work the process of renewing life is the symbolic part, I haven’t used anything that could be identified as religious symbolism. The work of Serrano however shows me what I would not want to achieve, more than what I would. Whilst I can see that Serrano achieve a furore with his work, which I can only imagine was his intention, he did gain audiences that he would not normally have been able to achieve. Whether this is moral or not, I’m not convinced. If the intent was to incite emotions he was certainly successful. This week I began really trying to pull together thoughts for my oral presentation. I’m not really sure where to start and I felt a little lost during some aspects of the week in how to explain what I would really like to do with this project. With my CRJ I need to have many more references I do struggle with the contextualisation part, I will put more work into this area. This week the Guest Lecture by Welby Ings was really helpful to my development. In terms of how I might be able to improve my contextualisation. He explained amongst other things how to write about work – that we have to position our ideas – refer to other practitioners working in the same field as that of our project subject and this will help us to show where our ideas fit. I’m not really sure why this hasn’t clocked before, maybe it was the way that it was put that worked for me. This lecture really assisted in helping the penny drop for me in essence the first 10 mins of this lecture made me realise where I was going wrong – so it was the perfect week to have this lecture. It was interesting seeing the works of his students and one of them was looking at the spirit of the landscape. This resonated with me as there are some similar aspects of this outlook that fits with my own work. I am applying a soul/spirit to my objects so that they can keep reinventing themselves into new life. This guest lecture helped me realise I do actually have a methodology and you don’t need to use long words just to make your point valid. This has also given me a new bit of confidence. My methodologies are the way that I print my work, my contact sheets, presentations. The way I brainstorm. It’s my method and again because it was put so simply it made sense. I also began looking at the work of Stephen Gill. While reading an article about him in The Telegraph something that seemed particularly relevant to this module was the way he prints his work and also publishes his books through Nobody Books. This way he has control over what happens with his work. I find his methods quite interesting, but what I did love about this, was his reference to the collection A Series of Disappointments. When this was printed and you took the book out of the cover you can hang it on your wall in turn changing a photo book into your own personal exhibition. I feel that this is a really great idea in the way that it allows his practice to reach across borders of what is a photobook and what is an exhibition? What is art?, and this collection can cover many genres. In the project Talking to Ants, Gill actually put objects into the body of the camera. After the debris had been inserted a photogram was produced but adding these items added more context to the work. The way my work includes dust within the petri dish is an expression of time passing and without this would the passage of time have its context within my work. This weeks webinar we discussed my work in progress which was really useful I’ve now got my solid foundation of images which I would like to expand upon and some others which I would like to revisit. What I would be interested in would be the Macro and also iPhoneography side of my work that had been so pivotal to my work prior to this module. Its also something that people are interested in. With this technique being quite tricky I would want to keep the group numbers quite small so it would be possible to give everyone a good amount of attention. With my given skill set I feel I can offer something to people who are not so confident with their camera phones to take some really beautiful images and I am sure that I will also find this very rewarding. Working on the details for the workshop was a valuable experience and it shows how much work goes in to becoming an instructor, it is certainly making me work to explain myself more clearly and this is something I’ve needed to work on for a while. Whilst I would work with other people, I think this project has become really quite personal. Working with my mould I am still really excited by this project and this has further been ignited by some of the images I’ve been able to capture this week. I’m really enjoying the abstract nature and the dreamy nature of some of the images. It reminds me of some of the abstract expressionists work that I studied earlier in the module. Perhaps this research has influenced my work more than I had anticipated. With this weeks webinar we started to discuss whether my work actually needs to be tied to triptychs anymore or whether they are now powerful enough to standalone not longer also constrained to the square format. From the previous modules in this course, my work has taken a huge leap in terms of my practice. My direction is now very much directed towards an exhibition, I can see the work really taking on its own character in a larger form. I have begun to research where I can hold an exhibition. Although a photo-book is still a viable option and I have enjoyed this element in this module. I held a 1:1 tutorial as if was the first time I had to carry out this type of task. Not being a hugely confident person it was daunting. Hence I thought this was the best route to take. I created a Facebook group so that people could get involved and so the images could easily be shared. I was really happy with how it went and I feel I was able to connect with the student and confidently offer advice but also answer the questions that were asked of me. Most of all I really enjoyed the experience what made it even better was they achieve and image they were really happy with and also happy they managed to get the image they wanted. It has a hugely fulfilling experience. It has made me understand that there can be a certain satisfaction in working with and helping others. This week I want my research to be project based and focus particularly on the beliefs behind behind transformation/transmutation and life after death. One of the aspects that I started with was Memento mori. This is leading from my research from the last module. Memento mori is a Latin phrase meaning “remember you must die”. I can accept this my items have to die to be reborn. I found an example of an image which incorporated the Momento Mori genre the best in my interpretation, but sadly there was no reference with it. It incorporates the skulls, decompostion familiar with the Momento Mori genre. This type of art was highly popular in around the 17th Century a time where religion played a big role in life with the breaking free from the Roman Catholic church and reform of the Church of England and also the early stages of Puritanism, it was a time where it was a popular belief that life on Earth was simply preparation for the afterlife. A modern day example of Momento Mori is the work of Damien Hirst. With one of his notable pieces For the Love of God (2007), which is the diamond encrusted skull. Whilst I don’t necessarily agree with some of Hirst’s work its good to have a contemporary artist to which I can refer and observe and see how views have changed over time. My work still has links to this concept particularly in that I am still working with fruit that is decomposing, which is on of the themes of Memento mori art. I have moved away from the Vanitas side as my work does not feature symbolic objects in the way this genre would. I feel as the work is looking for abstract shapes rather than the still life images that I had been creating, I don’t feel that there is a vanity to my images. I don’t think my imagery is the same as the art from this time because of the abstract nature of my work (although Pablo Picasso did make some art that should be considered as momento mori), but I can see how the principles can me applied due to growing the mould. My work can relate back to the religious beliefs of the Ancient Chinese and Egyptians, Tibetan Buddhism, and Christians – there have been quite a few links between my work and religion which I find interesting since it is a route I didn’t think I would be taking. I find that the cycle of death and rebirth which the Tibetan Buddhists call the cycle of transmigration which consists of the cycle of rebirth and redeath. Plato also believed in an immortal soul that participates in frequent incarnations. This then links into the belief of reincarnation which had been found to derive from the Latin meaning of “entering the flesh again” – Learning of this definition I found surprisingly fitting to the work in my project as my images when the light has been passing through my items has been described as fleshy – like there is a probe inside the body taking images. Perhaps this is something that could link into the naming of my project if rebirth doesn’t continue to be the appropriate title. Two terms that I have come across in my research is Transmigration – meaning “implying migration from one life to another” and Transmutation – meaning “the action of changing or the state of being changed into another form” both of these definitions are so appropriate to the work that I am doing in fact I don’t think I could find better terms to define my work. The changing state aspect of transmutation is a key point as I am waiting for the items to mutate. I am willing them to change form. This links me back to the work I completed during the informing contexts module on Sam Taylor-Johnson. “I also explored Sam Taylor-Johnson’s moving image sequences of Still Life (2001) and A Little Death (2002), and they captured what I would like to be able to in stills. Having items in place showing the degeneration – the transformation from one to another – passing – it is the cycle. Like Still Life and A Little Death I want to see the changes happen however the meaning behind out work is very different, Taylor-Johnson referred to her work to people who try to prevent the ageing process, where as my concept is different in that I want to see the joy of the rebirth. I still want to keep the transient nature of the items an important concept as I am capturing different stages of a life cycle and once I have captured it can never capture that moment again as the item moves through its cycle. Wabi Sabi, Anthropomorphism and Animism will still take a part in my project as I do feel like my objects have a soul that is moving through a cycle but in terms of Wabi Sabi my items are imperfect, they are impermanent and they are incomplete as the question is is a life cycle ever complete? This will lead to some really exciting insights in my future research. This weeks activity Thinking About Spaces, really made me think, everyone had masses of books covering a broad range of topics which not only made me realise how limited my range of knowledge is, but also how beneficial if would be to broaden this. Whilst I do borrow a lot of library books I feel I need to do more. The Sorting Images activity was a fun one as this is the way that I like to work when curating my work in progress portfolios. Putting together the dummy was more difficult than I had anticipated. I thought I had a clear vision but in fact the way that I want to present my images for exhibition is not the same as I would present my images for a photo book. As it turns out and the feedback received from my presentation at our webinar, I picked the wrong paper, I sized my images incorrectly but the concept worked for what I was trying to say with this dummy. When I introduced the label to my concept it was because I wanted the item to have a sense of belonging, with the labels having the name of the grower I felt it gave a personal, emotional link to my item going through its rebirth process, but also that there is a sense that there is someone there who will celebrate the rebirth. I have reconsidered the layout for my photo book and have compiled a sketch from which I will try to make another dummy. My project is moving away from what might be seen as the morbidity of death and much more heading to the celebration of the rebirth. This is a much more comfortable place and it then allows me to see some of the beauty in some of the images that I am producing. Working with physical objects was something that I wanted to look at this week. I got the book Photographers Sketchbooks, and its made me realise that this is an aspect of work that I don’t do enough of. The way I work tends to be quite off the cuff. Everything I use is pretty much digital and I don’t have many tactile notes/plans, I wonder if this is detrimental to my practice. Jason Evans was one photographer I was drawn to in this book, perhaps due to the abstract style of his work, but he also seemed to work in quite a similar style to my own, but the way that I work is not always successful. When I have been completing my shoots I don’t really pay enough attention to the set up, angles, focal length, aperture etc, so when it comes back to re-shoot I struggle to get the same settings as I used before. So when I came across the diary of Naoya Hatakeyama it was really quite enlightening. My practice could also gain a great deal by using a diary to plan shoots to the level of Hayakeyama as it would not only be beneficial to my practice for this course but also future projects so I can keep track of what works and what doesn’t. It would also give me something tangible of my projects. This book also reminded me of the importance of printing my work, I go through fits and starts of this but it really does help my practice when I do. The work of Cahier by Martin Kollar was very interesting and the layout of his sketchbook, the methodology used to put his images together and how they were presented is something I should take note of. It would not only make planning for the end result of exhibition/photobook easier but also planning for the shoots that I still need to achieve. This piece of research has really made me consider my methodologies and shows me where I need to make changes and improvements – its also made me realise that I want to remake my dummy into something of higher quality. The thoughts that I have had for my exhibition have been quite varied. Something I know is that I want to keep my images in a triptych format – currently I present a joined frame triptych. This type of presentation works for my work but it is not essential. I still want to maintain the black frame but I’m currently unsure of the background. I’ve chosen to present in an online format as I’m currently unsure of where my images actually belong. I have commenced curation of my #Landings2018 page. This weeks webinar was really useful. We discussed how my images could represent flesh due to the colours that have become apparent in my images. We also discussed the connotations of some of my images having seeds. My focus is of rebirth and in essence this is what my work will be focussing on. There was also a suggestion about the symbolism of my work and it was one I had not thought about in-depth before. The way I present my images have a suggestion of religion the triptych could be associated with religion – the trinity – Father, Son and Holy spirit. Life, Death and Rebirth. Flesh, Stagnation, Decay. A concept I considered was influenced by Sophie Calle and the exploration of hotel rooms. I really enjoyed the layout and this exhibition and I felt this type of layout would work for my images. The below image shows the type of layout that I would like to use. The webinar also brought up ideas that could work for my workshop. For example I could talk to others about their feelings on life and death and rebirth and incorporate these into my exhibition presentation and this is a concept that I would like to consider. When looking at the exhibition layout I was pointed in the direction of the work of Sophie Calle and her work The Hotel, 1981. The layout of this work inspired a new aspect to my project. The way Calle uses her notes as part of her exhibition pieces left me wondering whether having some form of descriptive piece to work alongside my images this led to the idea of placing the label within my display. I feel adding in the image of the labels from the gave a sense of belonging as on the labels it notes details about the fruit. I am capturing it like the investigative findings of Calle’s search around the hotel rooms. 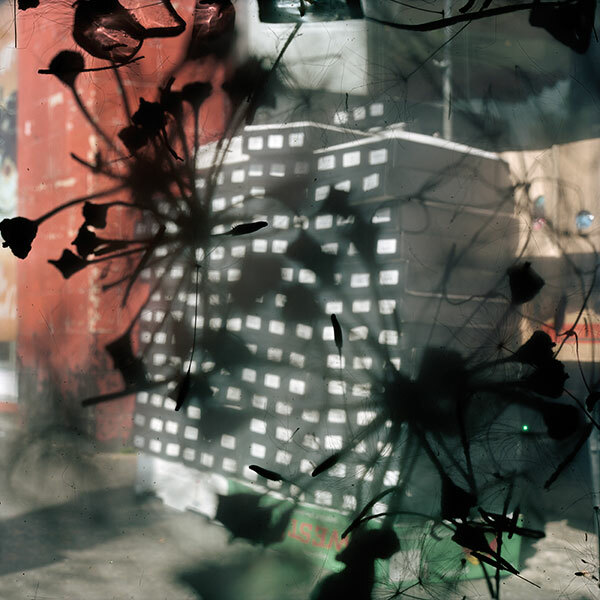 I find how Calle puts her investigations into a grid like format would help my images to tell their story. One downside of this format would be by having the images so small a format it may limit their impact and also the beauty in their detail. The way Calle writes her investigation around the room almost voyeuristic, honestly I find her approach a little intrusive. It makes me question if my approach is also however my objects cannot object. They haven’t been given a voice yet, or perhaps they just haven’t made it loud enough yet. The style of documenting findings is the same but the subjects very different. Calle started her work after feeling as if she belonged, so started documenting the investigation of people and building a story about them. In a similar way I am documenting my items finding their new lives. Perhaps I should have also made diary entries like a scientist documenting how my objects have changed and what has changed about them and that could have then accompanied my work. As much as I was really motivated by this project and exploring it was very useful in my thinking of what types of layout would work for my project it has also shown me what might and might not work which is a very important step in the process. Through going through my process this week it has highlighted that I’m not really sure who my audience would be. In this way I’m not even sure how a curator would even begin looking at my work, for this reason perhaps it would be helpful to have the input of a curator. This weeks work has been really quite stressful thinking in particular about an exhibition where I literally have no idea what I am going to put into it, creatively I’m lost. I will present in Diptychs and Triptychs. I want to show a process from one form to another. I’m struggling to get to grips with my new equipment so I need to invest some time into perfecting this technique or perhaps explore microscopic photography, to provide the up close images of transformation that I’m looking for. This weeks 1:2:1 tutorial was quite a jumble on my behalf due to my confusion over my project. Do I want to keep going with my inanimates? Do I want to put more focus onto memory? With the recent loss in my family in some ways death is not something I’m ready for so do I want to look at where my items come from, an allotment for example. One thought I have considered is am I really looking at death in particular? I feel more comfortable at present looking at the rebirth – I have particular emotions entangled in my project at the moment and perhaps this is the reason for things appearing more difficult at the moment. I can see themes of my work, I’m just not sure I am putting this across in the right way. I think my work looking back could do with the input of a curator I tend to get lost in my project, perhaps there are times where I need an outside input. I hope that they would agree that my images are made to be large abstract prints. Looking at the work of some abstract expressionists has really opened my eyes to something new and its been an enjoyable experience looking at the work of Helen Frankenthaler, Sam Francis, Lee Krasner and Jackson Pollock. It occurred to me through the art that you don’t have to be able to identify something from an image just to make it have more impact and in fact beautiful. As some of my images have developed through their journey from an identifiable piece of fruit into their new lifeforms they are gaining more and more abstract qualities and as the mould is developing like a Jackson Pollock painting they have an explosion of new life forms. For example Number 1, 1950 (Lavender Mist), 1950, the explosion of paint can have similarities in the way the mould grows and forms new shapes and levels. I felt the same about Sam Francis, Saint Honore, 1952 and Lee Krasner – Untitled, 1949. The movement of the paint strokes are like the movement and growing/transitioning from one form into another. This is something that I really enjoyed from this genre of art. In a completely different sense the work April, 1963, by Helen Frankenthaler inspires through the use of colour which I have also tried to experiment with in this module. One element that I find exciting about abstract expressionism is the freedom it offers to the audience to see what they can interpret from the art. This is a freedom I would also like to offer to my audience. I’ve heard it described as freeing the mind of visual restrictions. Not only would I like this to be possible for my audience but also to open up to discussion the limitations one might place upon the life-death-rebirth cycle. The way these paintings are exhibited on huge canvases, it makes me think for my work to be exhibited they should also be large enough to make them even more abstract and have more impact – an affect that I think might be lost in a photo-book. This weeks work has made me consider quite a lot. It is my belief that humans are always involved in someway in the production of images, otherwise we would never know that they had ever actually been created. Even with the Human? activity without human intervention we would never know that any form of image capturing had ever taken place. Within my practice I wait for natural processes to take their place and then capture them on their journey. So I feel I am a combination of hands on and hands off. I’m not sure whether people really know how to respond to my work and this is becoming somewhat troubling to me and I am certainly going to have to do a great deal of work on this specifically in the coming weeks. What are the actual goals of my images? Is time my target or is it the transformation? It has led me to the collection curated by David Campany – A handful of dust. A lesson to be learned from this weeks activity Hands Off was how to deal with failure. As we were not able to use our regular equipment and for me this ruled out the DSLR and iPhone, the flatbed scanner was the equipment that I chose. It was not successful so I decided to disregard my work to the groups disappointment, it has given me the motivation to try again and accept my failures. Over the next week I want to try to focus on the questions brought up this week and see what I can come up with. Due to the abstract nature of my images one of the suggestions to take a look at was the collection a Handful of Dust curated by David Campany. This collection features images by photographers such as Man Ray, Ed Ruscha and Jeff Wall along with the work of others and also some anonymous work. Some of the images by Man Ray espcecially Dust Breeding ,1920, really spoke to me. Using the normal and banal to create something completely different, the dust looking like it was making itself into a geographical map with how it has been manipulated and this is something that I can relate to taking the everyday and making look like something more beautiful that it should really look. Perhaps something else that could be considered from this piece is that the dust is creating a road map type effect, could this be seen as dust being the passing of time showing the direction we should be travelling in having learned lessons from the past. Perhaps this is just my interpretation. Another image that appeals from the work, and also that I can draw inspiration from because of a direction my work has gone is an image by Frederick Sommer – Arizona Landscape 1943 In webinars it has been mentioned how my images are starting to look like the beginning of a new landscape or a planets surface. The abstract nature of my own image and that of Frederick Sommer have similarities it shows me how my images could make their way to large prints and still have an impact even though the items I am capturing are small rather than grand landscapes. What I did find interesting was the images from where the exhibition was help, seeing the artefacts and the arrangement of the displays. I always think that the exhibition would be one large image arranged side by side in a black frame with white walls as this how I have experienced galleries before. As my images are abstract perhaps I should also be thinking this way for my own display.